Great area with views of the park. Surrounded by 2 reserves. All bills included. Ducted air conditioning with each room controlled seperatly by an app. All common furniture included. Plenty of on street parking on a quiet street. Smoking is cool but outside only. 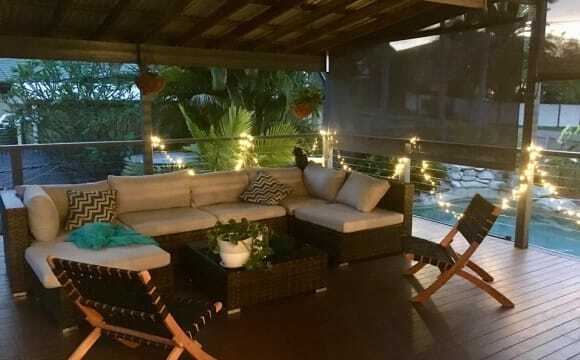 Sharing with other females, we have a newly renovated home in a quiet street, minutes walk to bus stop which takes you to Chermside Shopping Centre, Prince Charles Hospital and the local University Campus. All of these are within 2-3km of the premises. You are metres from a local coffee shop and pizza cafe. A few minutes walk will take you to Rode Shopping Centre, where you will find Coles and a range of cafes, restaurants and other services. 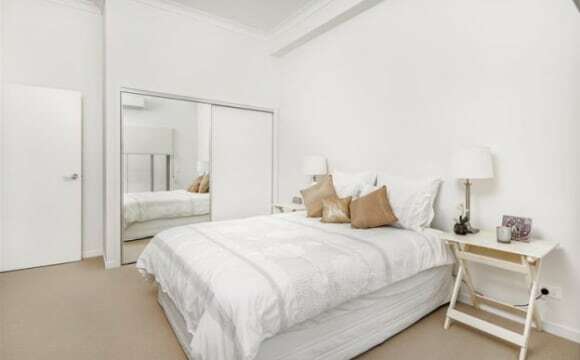 There are 2 rooms of varying sizes and priced from $200 pw. Rooms range up to 4m x 4.2m, with generous common areas for private or group breakouts. • fully furnished (flexible) • Vanity area, with sink, mirrored cabinet each room • airconditioned • ceiling fan • free WiFi • Smart TV • Fridge • Microwave and Kettle • Desk and Chair • Great natural light • acoustic, insulated wall panelling • polished timber floors (no carpet) • access to 2 brand new washing machines For stays of less than 3 months, there is an additional 1 week's rent to cover the extra cleaning frequency. Outside of the rooms you have a brand new kitchen, dishwasher and 3 casual dining areas. There are 2 shared bathrooms and an outdoor recreation area with BBQ and indoor living space. The downstairs rumpus is to be fitted out with a lounge (just trying to find the right one) to create a 3rd breakout space. The yard is generous and well turfed. There are 3 off-street car parking spots and it's a quiet street in any case for parking. A gardener cares for the lawn mowing every few weeks. The planter boxes are about to be planted out to create a lush, relaxing environment. Security cameras are fitted to the front and rear of the property for peace of mind, together with generous external lighting options. There is on-site storage for surplus belongings if needed. The house is very spacious, has a large deck perfect for entertaining and big yard. Air conditioning throughout the entire house and internet. Upstairs main (largest room) available! Air conditioned with ample room and built in wardrobes + ceiling fan. It has wooden blinds on two sets of windows in the room. 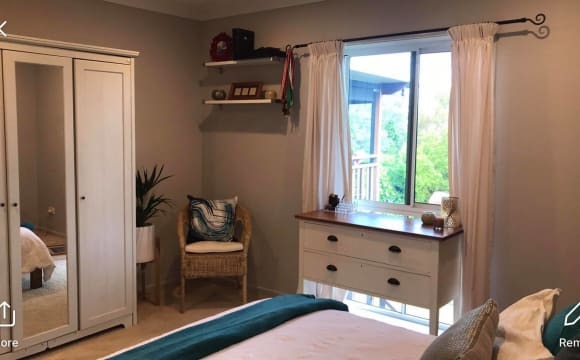 This house is in a lovely quiet neighbourhood - 1 street from Huxtable park if you like running (Also gym equipment in the park) It is a very relaxing house with ample space to have some 'me time' kept very clean by all current tenants. Unlimited internet is also included in rent. Electricity is currently split three ways between tenants. The house is walkable distance to The Prince Charles Hospital, Holy Spirit North Side Hospital, QAS (~800m away). Coles plus a lot of a specialty stores is a short walk (~400m) at the Stafford Heights Centre on corner of Rode Road and Appleby Road - I walk to get my groceries :) Also local take-away/cafes there. The real selling point of the house though is the back deck and pool which I am eagerly looking forward to spending time in this Summer! The pool maintenance and yard maintenance is all conducted by myself the owner/occupier. 3 bedroom 1 bathroom furnished townhouse. One room is tenanted, the other 2 rooms are free for the picking. You will need to be dog lovers and confident around dogs as they will greet you when you walk into our property. Just bring your suitcase as both have double bed's with mattresses, inbuilt closet space. Internet and Utilities included. Car spot available on the property. 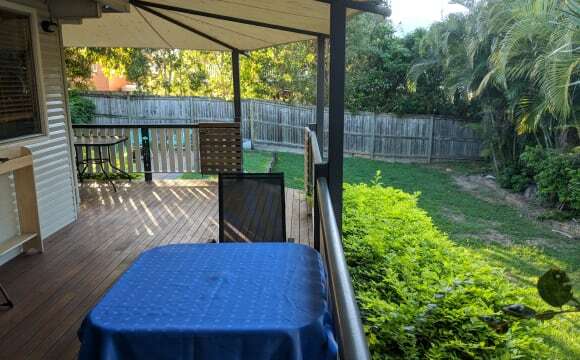 Lovely 3 bedroom Queenslander located in the the quiet neighbourhood of Aspley. Renovated kitchen complete with modern electric stove top, oven, dishwasher microwave and fridge. 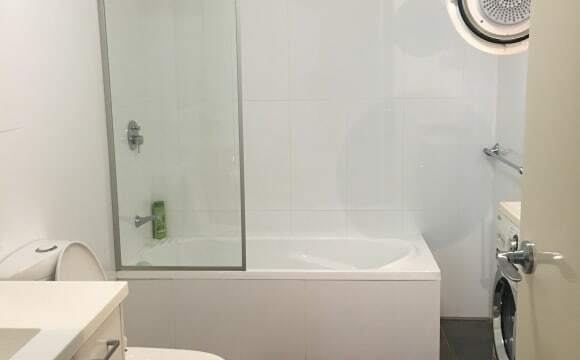 Single bathroom with bath and large enclosed shower, toilet is separate. New large rear balcony deck with large entertainment table and front balcony also, plenty of room for entertainment and to relax with privacy. Laundry Complete with new washing machine and indoor/outdoor drying lines. Large downstairs area free to do whatever you please. Your leafy green oasis awaits. In a quiet cult-de-sac street close to everything. 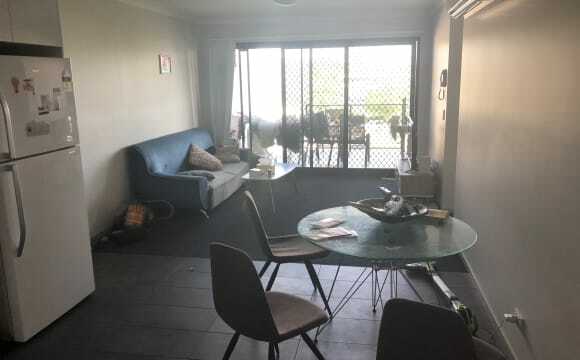 · 2 kms to Holy Spirit · 550m to Coles / other shops and gyms · 550m to major bus route to City · 11 kms to City The details are: We are a professional couple Michael and Kate with 2 dogs Hugo and Harper and are on the hunt for someone /couple who are employed, pay there rent on time, will be respectful to our dogs and our slice of paradise. In return you will be able to occupy this beautiful space with very minimal interaction with us. The space has its own private entry from the side of the house to the underneath of our house. As you can see the space is HUGE and the furniture here is included. Internet, water, gas and electricity is included in your $200PW rent. There is ample street parking with no limits applying. Access to a shared laundry is also available. Feel free to get in contact to come have a look and see if it is the correct fit for all. 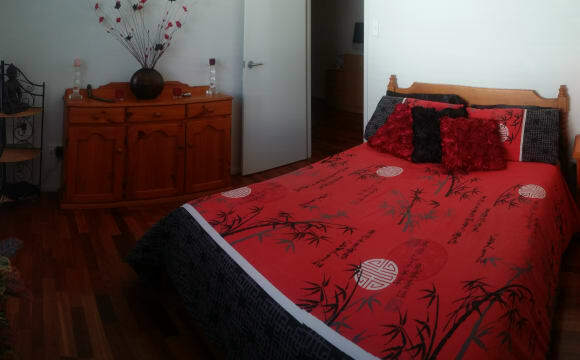 Tidy private room within a nice house, only 3 minutes walk from Chermside bus interchange and Westfield Shopping Centre. Wi-fi Internet and off-road parking available. 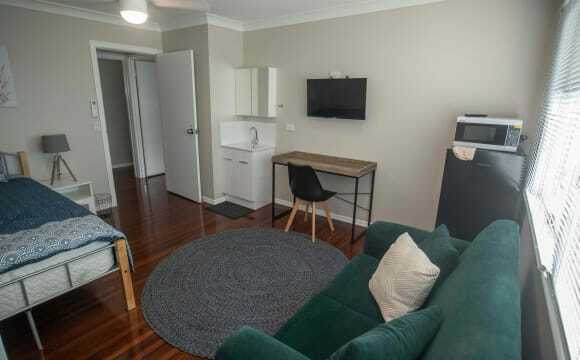 Quiet, airy and neat Chermside apartment in small block of flats. 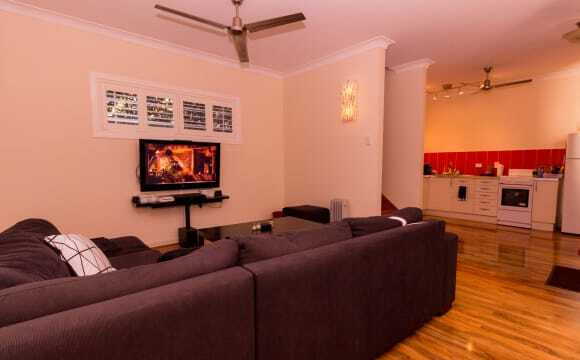 Walking distance to Westfield Chermside, bus terminals North and South, and the Prince Charles Hospital. The room comes fully furnished with built in wardrobe, just bring your own bedding and towels. Sharing with one other. 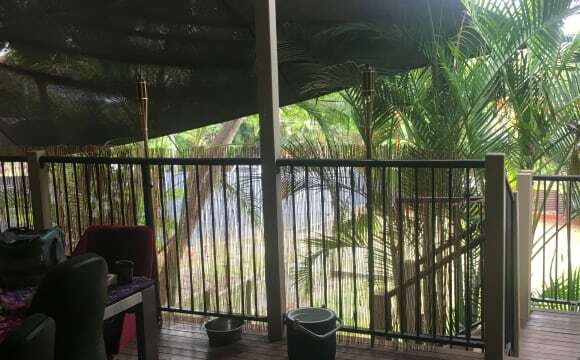 Yep I have WiFi 😁 You’ll get fur baby love 🥰 Choose from either of the two spare rooms. Screens throughout, fans in every room. Close to shops, close to food and main roads for buses. You will be living with couple who are working professionals. We are looking for someone who likes to enjoy dinner, relax and have a chat whilst also providing some space when it is needed. Nice size living area with a great balcony with a view of the park. Aircon in the living room and fans in the bedrooms. 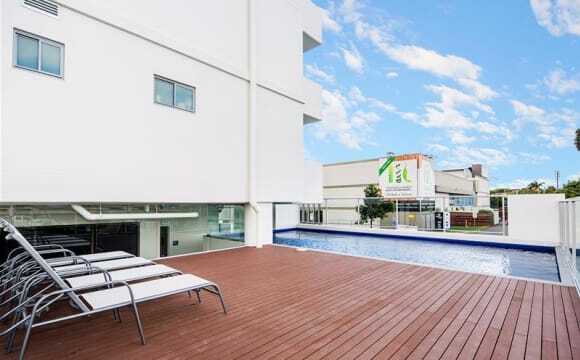 5min walk to chermside shopping center. The main area has an air con unit. There’s a fan in your room. Queen size bed is furnished for your room. Great view of the city from the rooftop. Apartment is fully furnished. BBQ located on the rooftop, 500M to Chermside Westfield. this place is close to everything!! 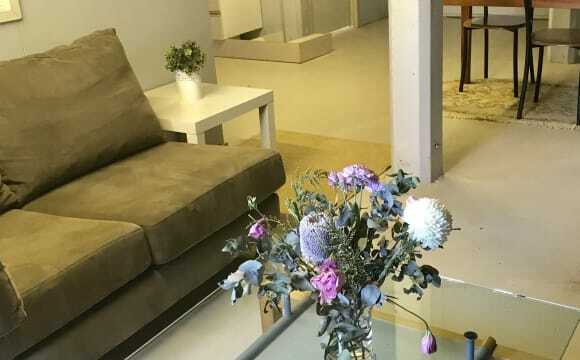 This Apartment is quite modern and clean, Its available for couples, friends, or just the 1 person, it has a wash bay down stairs for cars, and a cinema room on level 1 to enjoy movies, This 2br apartment comes with a 2 door sliding mirror wardrobe and a queen size air mattress, or you may wish to bring your own bed, plus you get your own personal balcony, plus you get your own bathroom, the washing machine room is shared in the second bathroom. 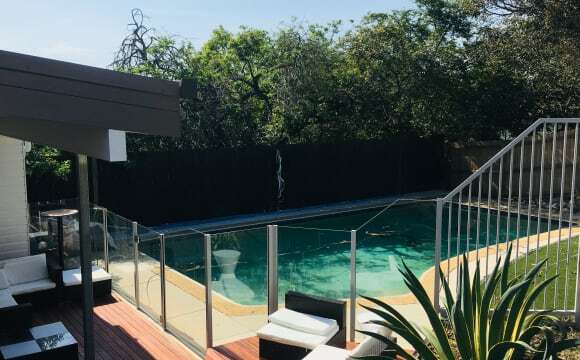 This fantastic place is located 1 street from Westfield Chermside shopping centre, and close to the bus station terminal its all just a 3 min walk, there's also the public library around the corner which is another 3 min walk, and a nice relaxing park close by if you like your morning exercise, cant forget the public swimming pool is also around the corner, Great location here, everything here close by. There is no pool or gym here, and no private car parking at the apartment, only off street parking. - Super secure apartment complex with intercom security and key access to the floor - Stones throw away from chermside shopping centre, meaning very convenient access to all the shops you could need - Multiple bus stops on the street as well as the shopping centre bus turnaround - Apartment also has access to home gym, sauna and swimming pool - Aircon units in shared space and in own rooms - Balcony for those mornings or evenings when you need to sit and stare pensively out and watch the world go by - Just beneath the apartment there’s a Thai restaurant and the best pizza place you’ll ever come across with dangerously cheap pizza - Shared space already fully furnished - Looking to fill master bedroom so comes with own en suite - Secure garage parking spot in basement Message me for more info if this sounds like a dream you want to be a part of. 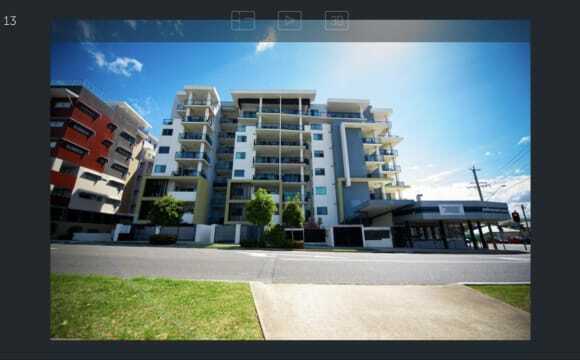 Located a stones throw away from Westfield Chermside. 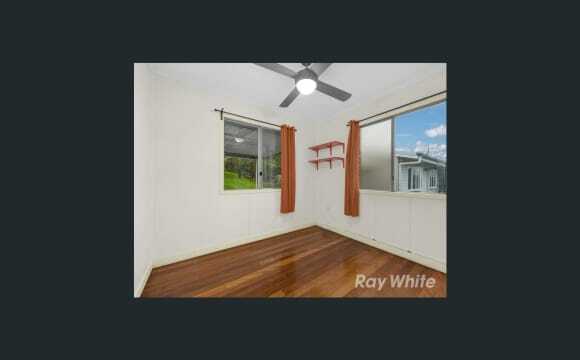 Very convenient location, next to the Chermside Bus Stop. Balcony has a bit of a view. Has a small pool, sauna and gym for you to relax. Furnished room because I am moving to another place which is already furnished. Has visitor parking if needed. Store cage available. This is a lovely home in Aspley. We are pretty central to everything!! Shops across the road (walking distance) bus around the corner (50mt) and train at 15 minute walking distance. 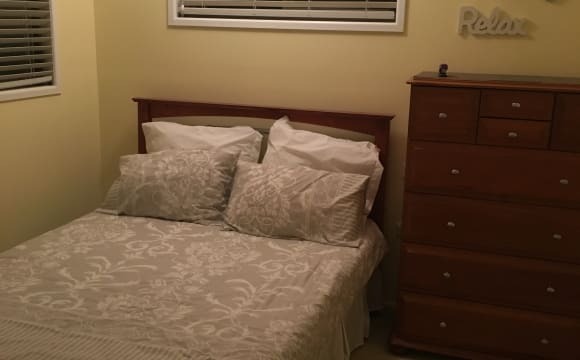 The room is private and has a lot of storage space it is fully furnished however I will consider also someone who wants an unfurnished room however the price does not change. The house is spacious and clean and tidy and it would suit a mature person who is working.